Product #45945 | SKU XEVA-52PROTEC | 0.0 (no ratings yet) Thanks for your rating! 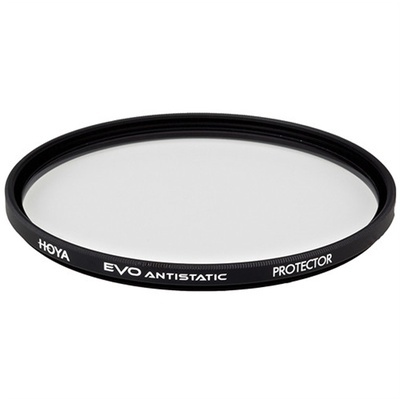 The Hoya 52mm EVO Antistatic Protector Filter is a simple, clear filter designed for general protection for your lens. This optically clear filter does not affect the overall image quality while helping reduce dust, scratches, moisture, and other elements from damaging your lens. One-piece aluminium filter ring features a low profile to reduce the likelihood of vignetting when used on wide-angle lenses. Additionally, this ring incorporates front 52mm filter threads for stacking additional filters or attaching lens caps.